SEPTEMBER 2007 -- Here it is, the beginning of September. Have you sent in your Community Service Report? The reports are due to Jody and Jody Ann Cameron no later than September 1st. If you have not sent in a report or you feel that your Grange has not done anything this past year, you should start to plan now for next year. 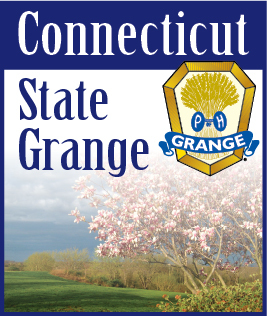 Does your Grange sponsor a Fair, a Boy Scout or Girl Scout Troop? Do your members transport senior citizens or handicapped persons to their Doctor’s offices or take them shopping? These are all community service. Your Grange can take credit for all of their expended hours that they serve in these positions. Plan ahead. Next year Jody and Jodi Ann would like to have 100 percent participation.